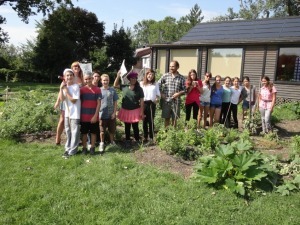 City Farm School Announces Eco-Leader Internships! Alternatives and City Farm School are proud to offer a summer-long paid internship working with youth aged 12 -18. This multidisciplinary internship offers a unique opportunity for interns to acquire the skills and experience necessary to develop and manage a community based urban agriculture initiative. This program aspires to bridge theory with practice by coupling skills training with hands-on work experience in the community. Previous PostFarming in the City: Curtis Stone TalkNext PostLet’s Grow Great Food!